CLOSEOUT - LIMITED STOCK AND SIZE AVAILABILITY, BARGAIN PRICING. 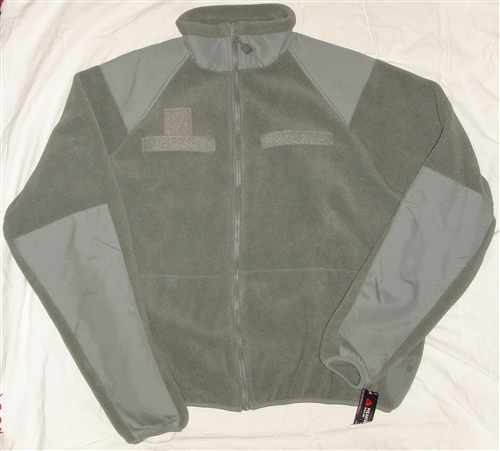 Contract production for Brigade Qm, our Polartec 200 Fleece ECWCS Level III style jacket is similar to the Army spec, but made with Polartec® 200 wt double sided non-pill fleece, instead of high loft "dog" fur polyester pile. 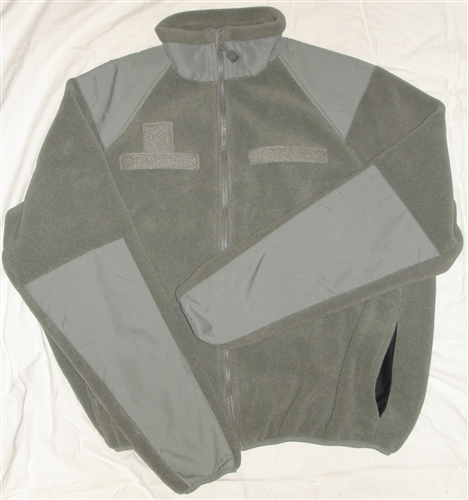 The result is a much warmer, wind resistant cold weather clothing component for a layered approach to warmth. Full front zipper, chest pockets, pile loop strips for attaching patches. Nylon reinforcements/accents at collar, shoulder and elbows. Raglan sleeve construction. FOLIAGE GREEN.